I can do a lot of things in my life through the medium of Welsh, but dealing with the UK government is not one of them. Earlier this year we conducted qualitative research on GOV.UK's Welsh content. This was a joint research project run by GDS and the Wales Office. The goal of the research was to understand why fluent Welsh speakers choose to use English when interacting with government online - something we discovered via web analytics. Alan is based in Cardiff, South Wales. He grew up speaking Welsh with his family and friends but all his education was in English and his workplace is English speaking too. Alan mainly uses Welsh at home with his kids when they watch Welsh children’s TV programs together. Even if his primary language is now English, he wants his children to be able to speak Welsh because it’s part of who they are. I speak Welsh with my family on a weekly basis but I don’t really read or write much in Welsh. Alan identifies as being a fluent Welsh speaker, but he’s really only fluent in colloquial Welsh; because of where and how he uses Welsh, he doesn’t have any ‘professional’ or formal Welsh vocabulary. We met a lot of people like Alan in our research. Recently Alan had to use online government services and, although he’s not confident in ‘official Welsh’, he wanted to give the Welsh version a try - especially since the English version of the service was so easy to use. Alan knows that the more people use Welsh services, the more likely the government will create more and better services in Welsh. He wants this to happen, for his children and future grandchildren. My generation (70s/80s) is used to receiving and filling out forms in English. Having the service in the Welsh language is a recent thing. How long will it take to change people’s attitude? While going through some of the information online, Alan started to feel nervous. He felt he couldn’t understand everything he was reading. Sentences seemed translated for accuracy, but not for ease of understanding. They contained long and complicated Welsh words not found in everyday use. Despite his initial intent, Alan had to switch back to the English service so that he could make sure he understood what he was doing. The long long words, which I don’t know what they mean, they fry my brain. There’s no point in trying to understand a sentence because I don’t know what it means and I don’t have the time to do it. It’s just easier to do it straight in English. The language participants use/d in their higher education and professional environment (Welsh or English) impacts on how confident they are using Welsh government services online. 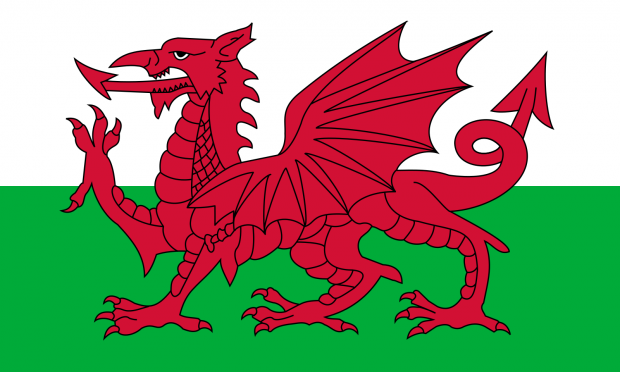 Welsh people feel they have a responsibility to use Welsh content online. By doing so, they feel they're playing their part in ensuring more Welsh content creation for future generations. People feel that government services are translated for accuracy (from the English version) and not understandability. This means that Welsh services very often require good proficiency in ‘professional’ Welsh to be able to use them successfully. When Welsh users want to stay in the Welsh version, but need assistance with particular words, they often switch backwards and forwards between Welsh and English versions. They will also do this to check that the Welsh version is as up to date and complete as the English version (often not the case). Welsh services are more offline and slower than their English counterparts and an end-to-end Welsh experience is rarely offered. People are frustrated that services in Welsh are not as good as the English services, and that they're presented as Welsh services but are not entirely in Welsh. Social media and blogs are perceived as non-threatening digital spaces because the Welsh is usually conversational. These channels also offer Welsh speakers an opportunity to serendipitously discover new Welsh content. Twitter has encouraged me to use more Welsh. The way things are going, things have to be at your fingertips. Because things happen when you scroll down and it’s easier than before to find out a little more about what is happening using Welsh. To improve the experience of the many Alans interacting with Welsh content and services on GOV.UK, we need a different approach. We need to start designing Welsh content. It’s not good enough to simply translate content from English. This means taking an iterative, user-centred approach to Welsh services that ensures the usability and clarity of the Welsh content. People told us that fewer (but better) services written in ‘plain Welsh’ are strongly preferred over greater volume of content. We need to prioritise making better and more complete Welsh services over making Welsh versions of all content using the current translation-only approach. If you work within the UK government and want to know more about this study, contact me and I'll share the full report with you. Keep in touch. Sign up to email updates from this blog. Follow Giulia on Twitter. Hen bryd! I'm a confident, fluent speaker but struggle with the atrocious direct translations on Government websites. It often feels that the translators themselves have no idea what they're talking about. If they don't, the rest of us certainly won't! I doubt that this is always a genuine choice. Often English is the default option even when services are available in Welsh. Hi Carl. That's certain and this also shows that web analytics can highlight a behaviour but they don’t give an explanation on why that behaviour happens. The difficulty you will have with this is that Welsh isn't exactly uniform. Someone from Wrexham will speak 'different' Welsh to someone from Neath, to someone from Aberystwyth. I am Welsh and as proud as the next person, but the amount of red tape and money wasted through the Welsh Lanugage Act is amazing. I completely understand the benefit of iterative user testing but this particular issue seems like a waste of time and effort given the fractional numbers of people who transact in Welsh or indeed are Welsh speakers to begin with. You would reach a far greater number of customers conducting this work in Polish or Urdu. Thanks for your feedback, Rob. I see your point but since Welsh services are available on GOV.UK we need to make sure we are providing an equally good experience for everyone. I'd say one of the main reasons that customers currently don't 'choose' to use Welsh language government services is because they're unaware that they're available. The link that takes you to the list of the Welsh services is right at the bottom of the screen. Yes I agree that content can be probably written in a clearer, simpler way like the plain English campaign but that is a wider issue and not just relevant to government content. What will attract customers to use Welsh services more and more is a good customer journey from start to finish, ie relevant links not going through to English languages pages, Welsh characters not corrupting, Welsh service from start to finish etc and the certainty that Welsh content is relevant and is as up to date as it’s English equivalent. Also, it's important that the information/content pages that you read before you start a service are in Welsh too. It’s an exciting time ahead! You are right Rhianned. Among the research finding is that users cannot find Welsh services in the first place and when they can find them, the services aren't as good as the English ones, because generally more offline, slower and rarely offering an end-to-end journey in Welsh. As you said definitely an exciting time ahead! Can anyone share examples of what good looks like?